Savor delizioso dishes with The 5-Ingredient Italian Cookbook. From Chicken Marsala to Pasta Carbonara to Tiramisu, this cookbook features regional classics that you can whip up any time. With recipes that require no more than 5-ingredients each-most of which are ready to eat in 30-minutes or less-this Italian cookbook makes every meal a celebration of taste and tradition. 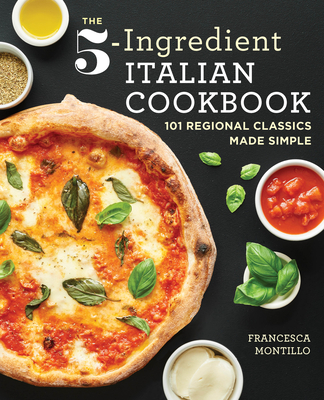 Traditional Italian recipes don't need a laundry list of miscellaneous ingredients; Taste every flavor of everyday recipes with The 5-Ingredient Italian Cookbook.